CSE provides tried and true electronic consulting services for a broad range of electronic circuit types and technologies. The term “technology” itself is very wide ranging, so here is a sampling of what we offer: (Of course, these are also provided in hybrid). Also, see some of our past products and check out our on-site lab resources. 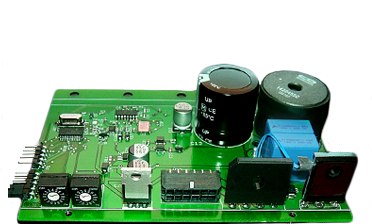 Digital electronics, including high-speed processor based systems, specialty peripherals, battery powered electronics, smart and passive devices. Analog electronics, including video, RF, specialty transducer interfacing, linear and non-linear analog semiconductor devices, high-power and micro-power electronics and low-noise systems. Various digital communications protocols and hardware standard architectures, including custom structures as well as PCI, CARDBUS, EISA, VME, SCSI, Ethernet, etc., and various low level structures. Surface mount, pin-through (pin-thru), hybrid, BGA, metric and custom. Custom, standard and semi-custom LCD’s, touch-screens, LED’s, Electroluminescence, and drive electronics. Copyright © 2014 CSE All Rights Reserved Names and logos referenced other than CSE may be trademarks of their respectfve owners.